The existing Azalea Avenue Bridge (State Br. No. 27C-0124) was reportedly constructed over Fairfax Creek in 1930. 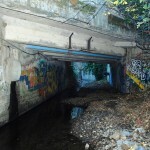 The cast-in-place reinforced concrete (CIP/RC) T-beam structure is a simple span bridge, nearly 12 feet above the creek bed. 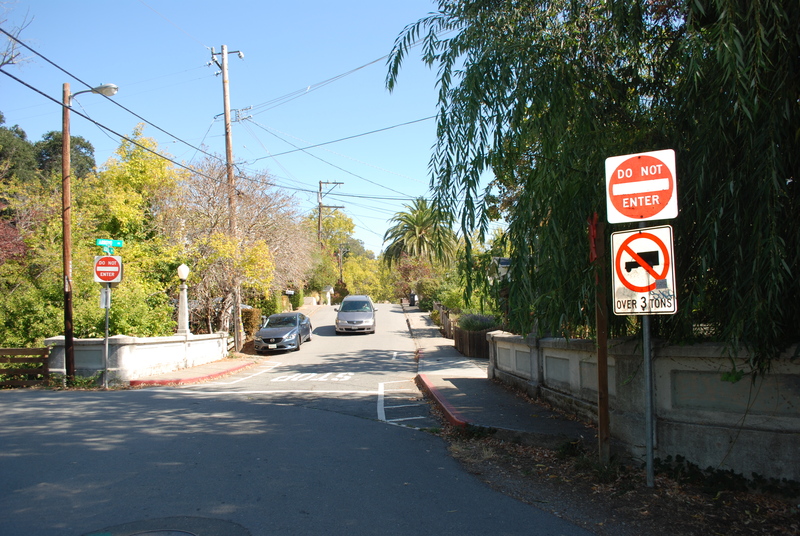 It is approximately 31 feet long and 30 feet wide, and was designed to accommodate two narrow lanes of traffic, with a sidewalk on each side. There are no original design and construction plans available. 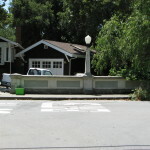 The bridge is not a historic structure by determination of the State Historic Preservation Officer (SHPO). Over the years, the bridge has weathered major damage and large pieces of concrete from several of the load bearing girders have spalled off, exposing damage to the main steel reinforcements. 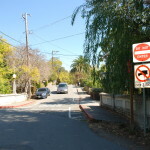 As a result, the bridge has been closed to two-way traffic and trucks over 3 tons; only one-way traffic is allowed, though Azalea Avenue is otherwise a two-way street. 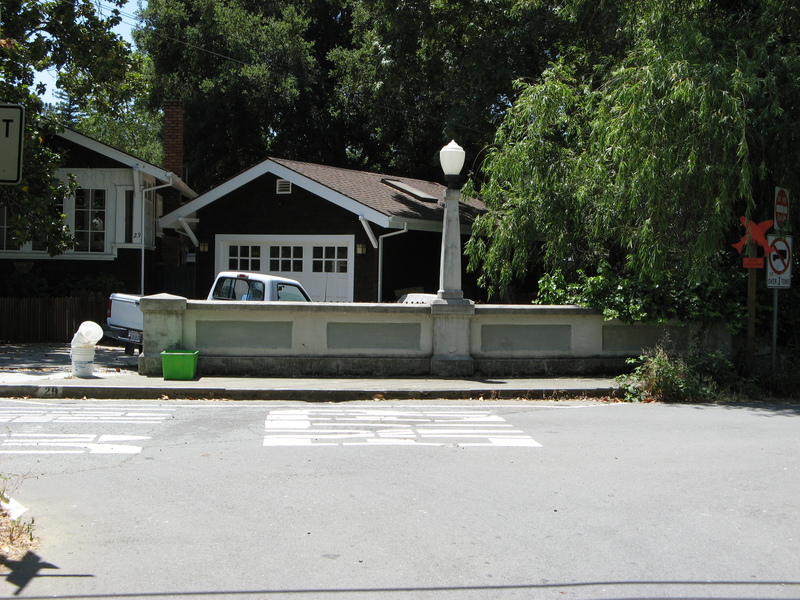 The bridge has a Sufficiency Rating (SR) of 64.6 and was flagged as Functionally Obsolete (FO) by Caltrans in the 2014 Bridge Inspection Report (BIR). These significant bridge rating and structural deficiencies have made it eligible for replacement. 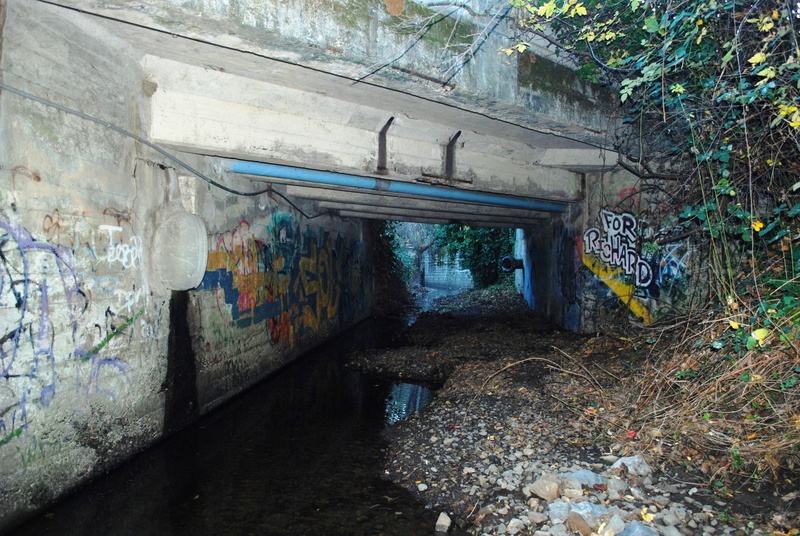 The existing bridge is also hydraulically inadequate and a contributor to flooding hazards in Fairfax. The current Marin County Flood Control Zone 9 hydraulic studies for the 100-year flood event and FEMA’s Flood Insurance Rate Map (FIRM) show the bridge being under pressure flow and being overtopped because it does not provide an adequate waterway opening for such high-stage flows. The bridge’s inadequacy during high flows has been demonstrated by two major storm events in the area over the past 30 years. Project updates and meeting notices will be provided on this website and shared with the project email list (sign up at right). October 13, 2016: The initial contract for preliminary design and environmental phases of the bridge replacement project was approved by the Town Council in September and executed on September 15, 2016/ Survey crews will be on site to begin field work in early October, and more details about initial project work are available in the following document. According to the latest Caltrans BIR, the bridge’s current average daily traffic (ADT) count is 110. Therefore, the new bridge plans call for two 9-foot wide lanes and two 2-foot wide shoulders (a total vehicle travelway width of 22 feet, striped as two 11-foot wide lanes), along with a 4-foot sidewalk and concrete barrier on each side (a total width of 33.5 feet). 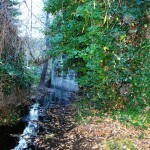 The creek is a narrow at the bridge site, and is immediately abutted by adjacent residential properties on the east side, and Arroyo Road on the west side. Retaining walls in the creek will protect the private properties and Arroyo Road and will connect directly to the four corners of the new bridge. Additional drainage infrastructure, such as storm drain pipes through the bridge abutments, will be considered. Bridge aesthetic concepts, landscape architecture and bridge lighting will be incorporated in the design. Community input received throughout the project development process will be considered by the Town Council in the final design of the bridge. A preliminary concept for the new bridge has been considered: a single span, CIP/RC slab bridge that uses no piers in the waterway with two concrete abutment supports, similar to the existing elements. The concept bridge calls for a span of approximately 42 feet, which is longer than the existing bridge to provide an adequate creek flow area. The bridge deck profile could be raised slightly for better flow conveyance and freeboard above the design flows. A short segment of the approach roadway on each side of the bridge, as well as a short stretch of Arroyo Road at one end of the bridge, will be part of the project. Because of the bridge’s deficient structural condition, the age of the structure, and the contribution to flooding hazards, the Town of Fairfax has received federal funding to replace the bridge with a functionally, structurally and hydraulically sufficient bridge. Construction will require a temporary road closure and traffic detour at the bridge site, at the intersection of Azalea Avenue and Arroyo Road. Utilities will be secured and maintained in place prior to removing the existing bridge. Construction will be done during the dry season when the creek is at its lowest flow rate and during the environmentally permissible window (April 15 through October 15). Old debris and drift will be removed, sand bars impeding the water flows will be leveled, and additional cleaning will take place in the bridge area. The project will go through a full National Environmental Policy Act (NEPA) and California Environmental Quality Act (CEQA) environmental studies and regulatory permitting. Public presentations and workshops are planned during the environmental, design and construction phases of the project. The design and environmental process are expected to take approximately 30 months, and construction will take nearly 12 months, once each phase of the project is funded. The Town of Fairfax is currently in the process of selecting the design and environmental consulting team. 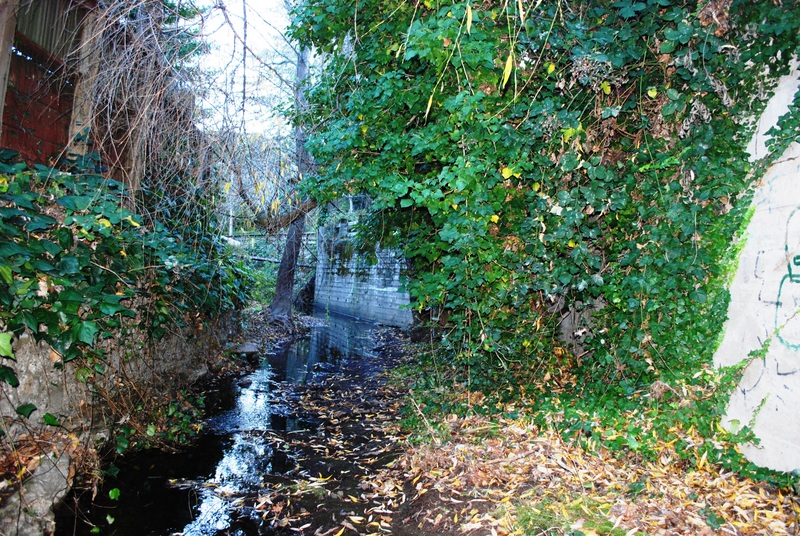 The Town of Fairfax is currently selecting a team to complete preliminary engineering, environmental and design services for the Azalea Avenue Bridge.